Although we live in a beautiful part of the country – it can also appear very bleak. To-day was one of those days, where the sea and the sky are just …. grey and somewhat melancholy. This entry was posted on December 22, 2008 by artistsgarden. It was filed under landscape and was tagged with beach, december, sea. 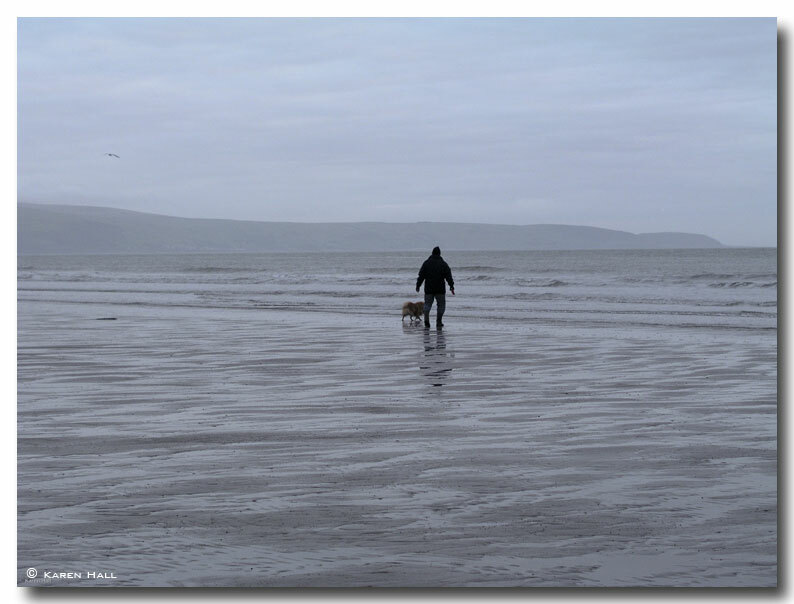 Is that really Shedman on the beach with Merlin? I’ll take bleak any time over living in a big town again. Gorgeous shots, nice to see the beach without a covering of snow. Beautiful picture – hard to see where the sand ends and the sea begins! Roll on Spring.